My story… How did I end up where I am? I was working for a small international marketing agency in the South of France and living only a stone’s throw away from the Mediterranean shoreline. My lifestyle was very comfortable… a small boat, a beautiful garden apartment, a charming cat, friendly work environment, great colleagues, an incredibly interesting job and an active lifestyle which included scuba diving, boating, canyoning (rock climbing in mountain waterways), skiing and kiteboarding. I traveled often, thanks to the 5 weeks per year vacation time which is standard in Europe. When I was at home I enjoyed renovating antiques, living spaces and usually had an art project going. It was upon returning from a three week vacation in the Caribbean that my health began deteriorating FAST, in every way. I went to doctors, then more doctors and all types of alternative health care professionals. No one and no test results were able to indicate what was wrong. None of the drugs, homeopathy, herbs, treatments or other suggestions helped, they actually seemed to speed up the decline. As time passed it got more depressing. Soon professionals were convinced my conditions were psychological and the result of mental illness. Nothing made me crazier faster than hearing professionals tell me my health decline was not physical, as I truly believed. With the passing of more time, and still no answers I began to wonder if my conditions were in fact related to a mental illness. With that doubt I located a well-known psychiatrist and began seeing him weekly. After only a month he told my very clearly “Krista you have to find a doctor who can figure out what is wrong – you do not have a mental illness”. It was helpful to hear that, but I stayed under his care as I navigated the medical maze with my elusive medical problems. He kept me grounded, focused and moving forward as I saw more doctors who invariably would tell me that my problems were psychosomatic when they were unable to determine what was wrong. When I continued to come up empty handed I decided I had to go back to school, hit the books and find the answers myself. Little by little my new understanding led me to private laboratories who were offering unique types of medical testing and who provided me the names of medical doctors who used their services. Once I had the right doctors using the right labs I began to get some answers. Blood, urine and stool tests by these private labs revealed heavy metal poisoning. I remember getting the lab results – I had three times max levels of mercury in my blood, and some unearthly amount coming out in my urine along with a lot of lead. How did healthcare professionals not see my symptoms as directly related to heavy metal poisoning? I had almost every weird yet common symptom for lead and mercury poisoning – symptoms that don’t exist for other conditions. It seemed so obvious. My body had been primed for the problems with lots of heavy metal exposures from my hobbies (renovating antiques, living spaces and art materials). My diet was a very healthy whole foods based diet. It was so healthy that I was eating fish a couple times a week (gosh I don’t do that anymore!). My body crashed upon returning from a 3 week stay in the Caribbean where I had been served two big portions of fish two times a day. It was a recipe for disaster and I thought I was doing everything right..
Once Pandora’s box was open (as my mom often referred to it), subsequent biopsies over many years would indicate several different, but related auto-immune diseases. Even though I had begun proper medical treatments, my health was not returning and so I kept on with my studies looking for solutions. 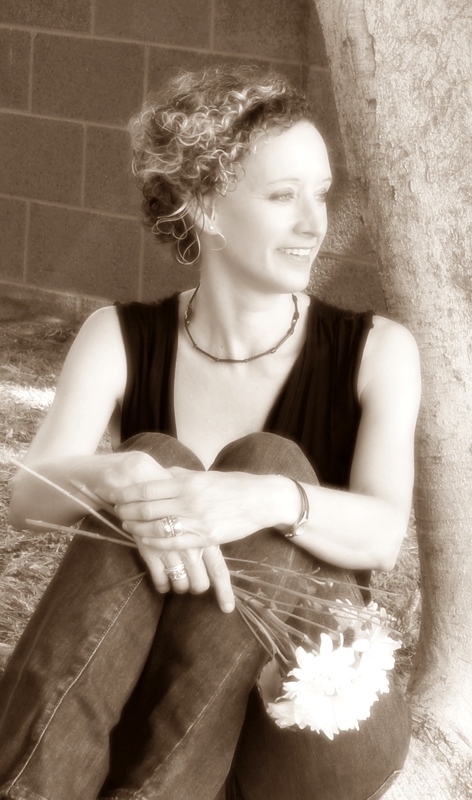 I completed studies in nutrition, herbalism, holistic and alternative healing techniques and environmental factors. From there I branched out into hypnotherapy, interactive guided imagery, native spiritual practices, dream work, art therapy, family/systemic constellations (not astrology, but based on Bert Hellinger’s work) and other spiritual types of practices for reading energy because of their role in well-being. Years passed and I continued crawling my way back to more body function. It was painstakingly slow. Good thing I didn’t now how long it would take. I did what Dory in Finding Nemo does, “just keep swimming, just keep swimming“. It required an extremely detailed and strict diet, herbs, supplements, medical and alternative treatments and a personally appropriate lifestyle. I began giving talks about what I knew, offered classes and began working with kids and adults via phone consultations, office visits or in their home. I know what questions to ask, I listen, ask more questions, follow my nose and move in the directions that will foster the right forward movements that will give a person their life back. Eating foods from Mother Nature’s Soil Kitchen is what the body understands and the healthy foods that promote health recovery, healing and health for me are NOT the same natural foods that will promote health and healing for you. I use my knowledge and experience along with all you know and your body’s responses to find the path which will foster health recovery and healing to get you back to living. The individuals I work with have not consciously chosen the path they are on, nor did I, but as time passes and their new understanding branches out they see how their life has become far more meaningful as a result. I listen, interact, ask a lot of questions, guide, teach and involve my clients rather than dictate or preach. Your person is unique and needs a unique personal recipe to move forward.